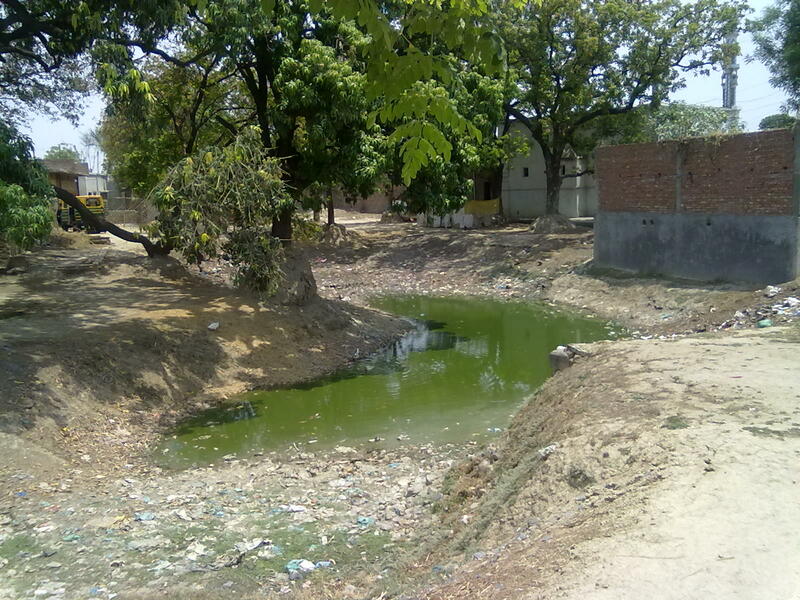 Ibrahimpur Bamhrauli is the real name of the village that is now known as Shaikhpur. It is one of the latest founded villages in Pargana Chail. 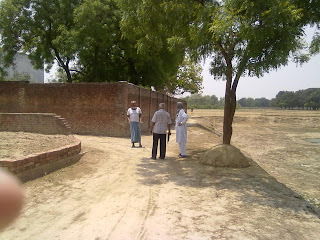 Actually it was a Mazra (hamlet) of the zamindars of Bamhrauli situated along the Grand Trunk Road near Talab Tiwari. The history of the settlement of the Zamindars in this village starts in the late 18th century AD when a family of the Chaudharis of Bamhrauli took this village for their future abode.It was preceded by a dispute in the family of Bamhrauli over a piece of land. It was followed by a lengthy legal battle for the same. 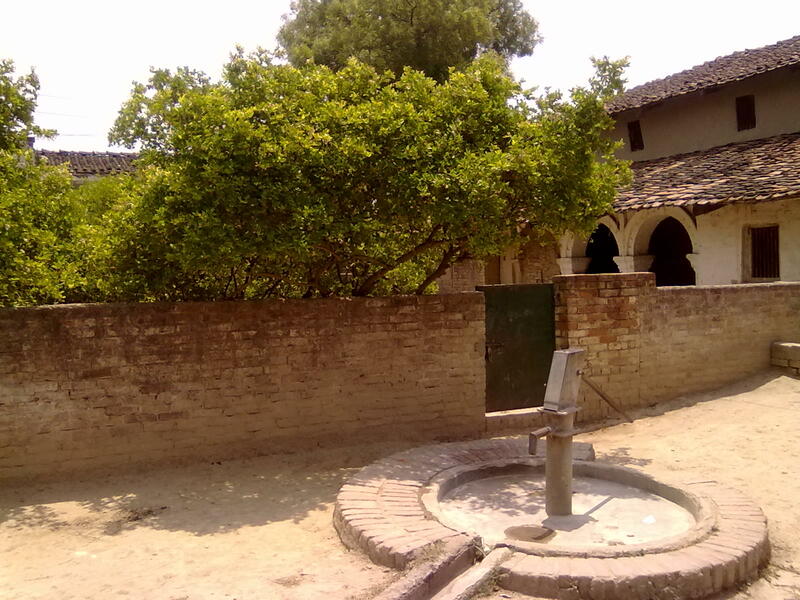 One of the families, out of resentment and indignation, took a historical step to leave the village Bamhrauli and chose a hamlet of Bamhrauli (Mazra) named Ibrahimpur which was a pastureland for cattle grazing / rearing purposes . 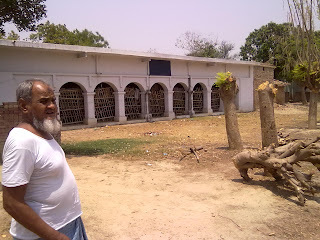 This Ibrahimpur Bamrauli is today famous as Shaikhpur. 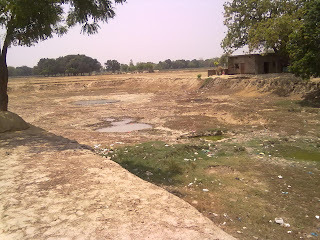 The person who came and settled here from Bamhrauli was Badi-uz-Zaman. 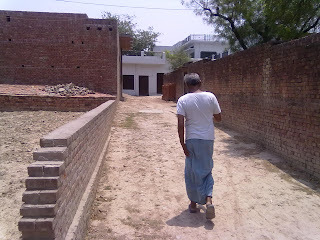 He along with his family left his ancestral house at Bamhrauli and settled at Ibrahimpur after re-naming the village as Shaikhpur .He had two sons. His eldest son Buniyad Ali is the ancestor of the Hashmi family of Shaikhpur. 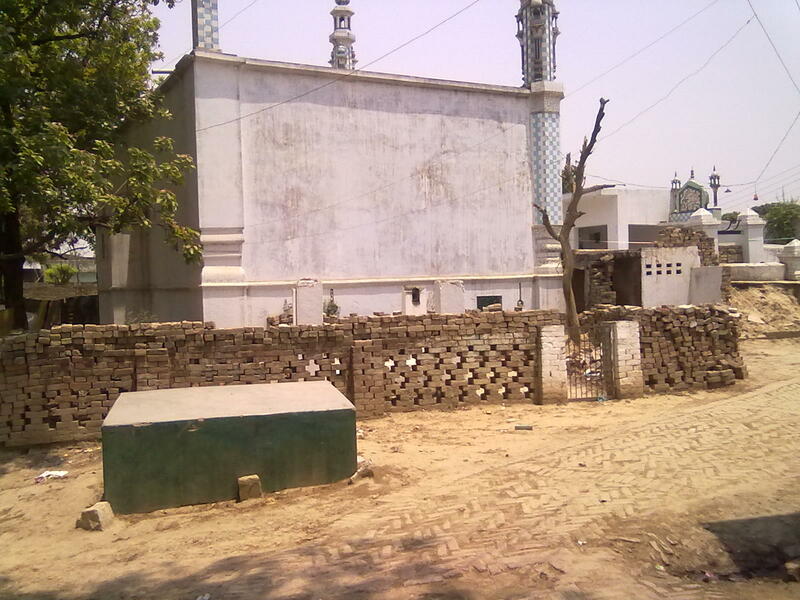 His second son Muharram Ali laid foundation of a new village just a mile away from Shaikhpur and named it Muhiuddinpur .Thus Badi-uz-zaman became the common ancestor of both the villages; Shaikhpur and Muhiuddinpur. As I mentioned earlier, Hashmis of Bamhrauli are descended from Makhdoom Shah Ismail Hashmi Suharwardi (Rahmatullah Alayhi) who is a grandson of Shaikh Bahauddin Zakaria of Multan. He came from Multan and settled in Bamhrauli. As per my understanding, He is one of the oldest saints of Allahabad and thus the Bamhrauli family may be taken as one of oldest Muslim families living in Allahabad (excluding the families residing in Kara). The only other family that settled around is the family of Sayyid Shaban-ul-Millat Bayabani (Rahmatullah Alaihi) who died in 1359/60 at Jhunsi. He was the ancestor of the Bukhari Naqvi Sayyids of Jhunsi. These two families seem to be the oldest Muslim Khanwadas in Prayag (Allahabad). For details you may like to see Manba-al-Ansab. 2. Neem Sarai - Family found in Allahabad, Karachi. 3. 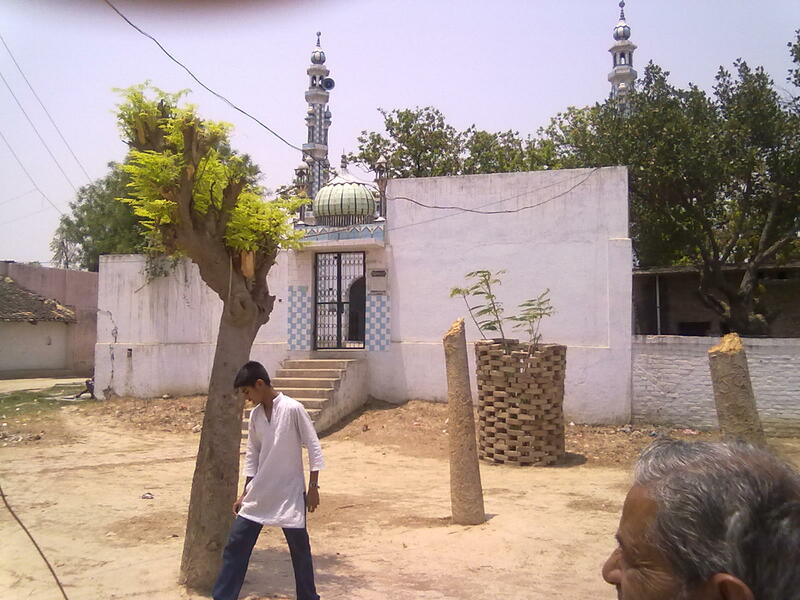 Peepal Gaon - Almost abandoned.Family found in Allahabad, Karachi , US etc. 5. Korai Uparhar - Abandoned , Original family is now found in Allahabad, Karachi etc. 6. Fatehpur - Original family has lost all the relations with the rest of their clan. For a brief sketch of the life of Makhdoom Ismail, please visit this link. I intend to write in detail about these villages as well as about the Jhunsi family in the days to come. Now i would list all the descendents of the gentlemen named above , those who are not mentioned here would mean that they had no issue. 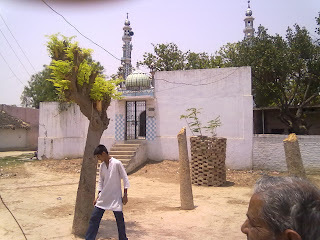 Ahmad Haq had sons -Tufail Ahmad & Kaniza Bibi , from Tufail Ahmad are Idris, Zubair, Iqbal Ahmad etc. Mansoor Alam had - Afzal Ahmad, Nisar Ahmad, Aijaz Ahmad (Muchchhan),Asrar Ahmad, Abrar Ahmad, Afaq Ahmad ,Ansar Ahmad, Sifat Ahmad. Abdul Qudoos - had Mushtaq Ahmad and he had Ahmad Masood Suhail and Rashid Masood in Gurgaon. Siraj ul Haq Sijjan had Ishtiaq Ahmad (dumb) , Waqia Bibi , Misbahul Haq, Maqboola Bibi, Ateeq Ahmad,Mashkoor Ahmad, Mahmood Ahmad Muddan. 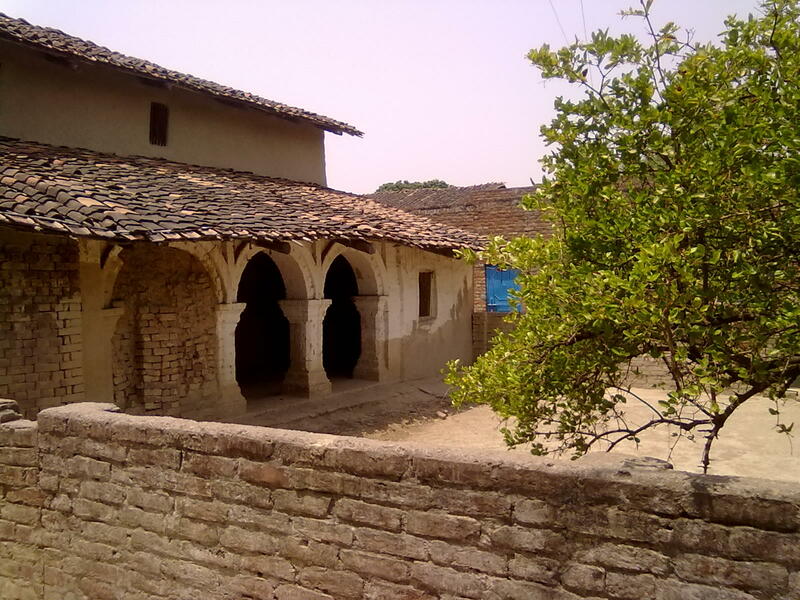 Since Shaikhpur was a later settlement and the people had left their ancestral house and the property in Bamhrauli, with a very small amount of shares left with them in at least 10 villages around Bamhrauli , they took to the police & armed services to sustain. After the partition of the country the educated class migrated to Karachi that broke the back of the remaining village. Today Shaikhpur is inhabited and new houses are being constructed which assures that it will not be deserted and lay inhabited in near future. People have picked up jobs in different places and trying their best to raise their standard of living. The irony of all the erstwhile zamindar villages of Chail is that when the sons of their soil started to flourish and established themselves well in other parts of world , they do not or did not look back at their village at all. This case may not be applicable entirely in case of Shaikhpur yet it is a bitter truth those who could have raised or helped the village guys grow did never look back and went away as if they have not heard about these ancestral soil......This is a stark, strange ,bitter , unacceptable truth witnessed in all the premier villages of Chail. 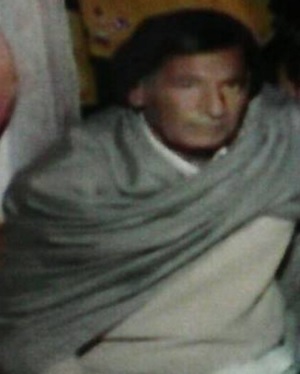 Hashmis of Shaikhpur are regarded to be amongst the Aali Nasab families of Pargana Chail owing to their being in direct line of Makhdoom Shah of Bamhrauli . As Shaikhpur was a new settlement , their marital relations are also few in number proportionately. One of the family members named Ibn-e-Ali excelled as a bodyguard to the Viceroy of India and was a reputed man of his time. Laiq Ahmad D.S.P was in the UP Police. Dr S A Hashmi in US and Abdul Rahman Hashmi exporters in Karachi are are from the same family. This Abdul Rahman Alias Anwar needs a special mention as he is an outstanding example of being a pure self-made man and one of the original entrepreneur Chail has produced. The Chairman of the Chayell Hospitality Group, Eastern Ontario, Canada, Mr. Abdul Rehman is the son of Mr.Khaleel Ahmad Marhoom of Shaikhpur who settled in Karachi after the partition of country.Endowed with a a keen business acumen coupled with born entrepreneurship , he started from very small businesses but worked strenuously to create better avenues and today he is the proud owner of a number of trading and business houses. He is the Chairman of Trade Overseas Services (Pvt) Ltd which is a well known knitwear garments’ export house. He acted as a buying agent for Innovative Merchandise Services, United States. He established a development and construction business by the name of Chayell Builders and Developers in Pakistan in 1999 which has constructed a number of high rise buildings and housing projects there. He landed in Canada as an entrepreneur in 2002 and today stands tall after establishing a lot of new ventures in the eastern Ontario province. The Chayell Hospitality Group he founded has entered the hotel business with the construction of the Holiday Inn Express and Suites in Brockville, Ontario in 2009 and I am sure wIth the pace he is advancing, many more laurels are on his way. Aftab Ahmad Hashmi, Director , Agricultural Bank of Pakstan, his brother Khalil Ahmad Hashmi was a lecturer and educator in Pakistan. Mushtaq Ahmad Marhoom was an enlightened person who taught at the Majidia Islamia college in Allahabad. His sons Dr. Ahmad Masood was an officer in the planning commission , Govt of India while Dr.Rashid Masood was an economist with the Government of India. Both the gentlemen are residing at Gurgaon after the retirement. However the most prominent son of Shaikhpur is Shah Habib Ahmad Hashmi who was a Buzurg of his time. Initially he was in the police service but a divine intervention changed the course of his life and with a few years he transformed into a Qawi-un-Nisbat Buzurg of the time. After migration, he settled in Karachi where he died in 1996.A lot of people in and around Chail were his followers. He built a mosque in the village and established a Madarsa as well which is still functioning under the management of the elders of the village. His son Shakeel Ahmad Hashmi superannuated as the Secretary, Minority affairs in Govt of Sindh, Pakistan. My Grand Mother (Late Ishratun Nisa) was from Peepal Gaon. her faimly had left the place and got settled in Baserhi. i am second son of my late father shah Habib Ahmed Hashmi. His actual year of death is 1996 and not 1991. I retired from Government of Pakistan as Secretary for Minorities affairs in Government of Sindh in 2009.My father was actually a Buzrug and very lately I realized that for example when I was struggling to qualify Civil Superior Services he told my selection in District Management Group(DMG former CSP), instead of my selection in Accounts Group.When i told that i was not selected he told me that he "saw" me conducting courts and insisted upon his :prophesy? :,within weeks government increased the number of posts and i was thus given DMG as more qualified candidates had failed to qualify psychological tests.After training I was appointed as Political Assistant in tribal area of District Rajanpur, Punjab.There are many other prophesies as well which influenced my perception of religion. In Pakistan he passed a difficult time initially in raising his family as he was only 8th class educated from India. Somehow he was appointed as Arabic teacher in Municipal High School Larkana. My parents used to live with me even When I was posted in Punjab's districts such as Rajanpur,Rahimyarkhan and Multan. He always advised me to live a life of honesty...In my life i never heard words like Sunni, Shia,deobandi,brailvi,Hindu,Christian etc, he always insisted that he was a Muslim. He never took interest in politics nor cast vote in his entire life, telling that he has been forbidden to cast vote, and never replied who forbade?. My mother Shakira Khatoon of Braithee (and hope you will also write some information about that village and its elders too) died in 1993 and he said to us that he would also depart in 3 years and exactly after 3 lunar years he died while he was sleeping in peace. He was laid in rest in the Alnoor Graveyard, F.B.Area Karachi.He was fond of books, always reading something (we acquired reading habit from him) and in old age specially he used to read religious books only.Once he told me that he was always against creation of Pakistan and he motivated many people from Railways Stations to abandon idea of migration, and for his own migration he disclosed that a little piece of ancestral land was there in which cattle used to roam and on which his disciples from Gaddi people used to fight with each other that how come their cattle dared to graze in the shah sahibs farm land ?. One of his disciple of Gaddi tribe visited him in karachi in 1981.Perhaps I took more time than was necessary, however i am thankful for your writing about shaikhpur.I was perhaps 6 years old when we migrated and still i visualize and hope that once I reach to my village near grand trunk road i would reach to my home and mosque and maddarsa without any help which were reconstructed by village dwellers under the direction of my late father.May Allah give him rest in peace.Please visit my bloghttp://sah2009-shakeelahmadhashmi.blogspot.com/ for updated activities. corrigendum: After migration shah Habib Ahmed settled in Larkana, Sindh where he was initially appointed as Qanoongo (Supervising Patwari)in Settlement department of Govt. of Pakistan, a lucrative job he abandoned after a while when he saw no honest income coming and remained out of work for a while,for a brief stunt he helped Moulana Israr Ahmed a confectionery seller, relative and immigrant from Chail as well. He was given a job of Arabic teaching by a God-fearing Chairman Municipal Committee Larkana, (who was a retired colonel) in Municipal High School Larkana. It became his source of livelihood and he stayed in Larkana most of his life,started imamat of Namaz hitherto of a closed mosque as well till he shifted to Karachi in 1982.